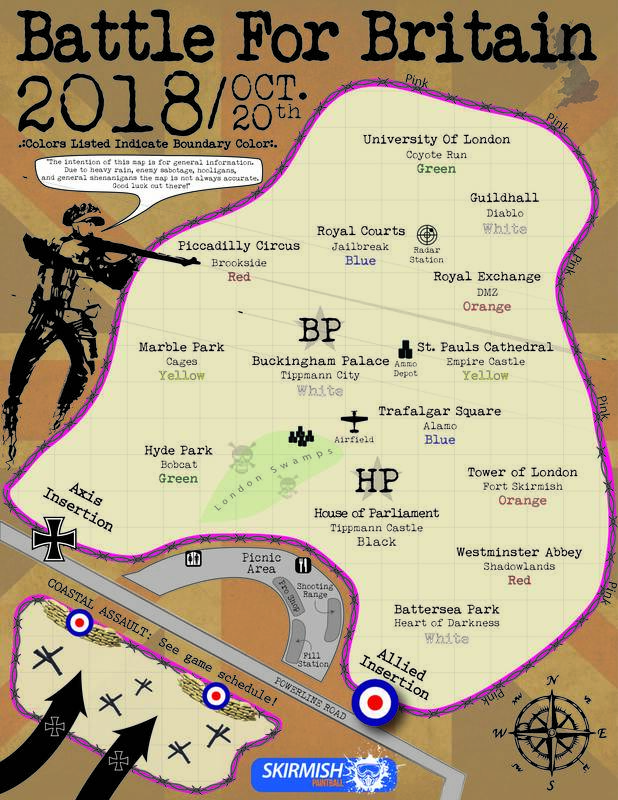 The Axis has successfully defended the beaches of France, now they need to land on the beaches of England and take control of the English Channel in effort to attack London. Will you fight with the Axis forces or will you fight against them on the Allied side? $39.99 per person, pre-registered/paid in full by October 17th. $49.99 per person when you register October 18th through game day. PROPS/POINT, RULES & GAME SCHEDULE: CLICK HERE! 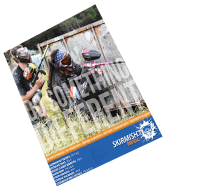 2 FREE Tippmann Cronus Paintball Gun (to keep!) 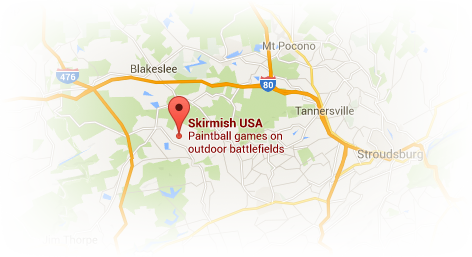 OR 2000 paintballs – that’s one full case! Event Paint Only! Field paint is $75 per case of 2000 rounds. Tippmann 98 rental guns are free with a valid driver’s license that will be used as a security deposit until the rental equipment is returned. We permit two Tippmann 98 rental guns per one id. N2 Air Fills, 3,000 and 4,500 psi, are FREE! 280 fps max. Chrono Stations will be at your insertion point. Roaming judges will also be checking with hand-held devices. If you are shooting hot, you will be removed from play immediately! You will be issued your medic cards at check in. If you are shot during the game, you will be required to find a medic ref to mark your card. After three marks, you must leave the field and reinsert at your insertion point. Available for sale throughout the game. Available for sale at our food court, we strongly recommend you bring extra water! Cash is quicker but we accept all major credit cards. There is an ATM located at check-in. Flashlights, Paint Grenades, Perimeter Warning Devices, and Thermal Imagers. Guns shooting over 280 fps, Hot Burning Smoke, Knives, Firearms, Flares, Rope, Wire, Portable Shields, Spotlights, Laser Sights. NO Drugs, NO Alcohol, NO Open Fires, NO Fireworks, No Enola Gaye Smoke!